I let mold grow on this stale loaf of bread. What part of the food web does the mold belong to? No. A producer captures energy from sunlight, and stores it as food. To do that, the organism needs to contain chlorophyll. This mold is green, but does not have chlorophyll. No. Primary consumers eat producers. This mold does not eat living plants. No. Secondary consumers eat other consumers. This mold does not eat animals. Yes! Decomposers break down dead and decaying organisms. 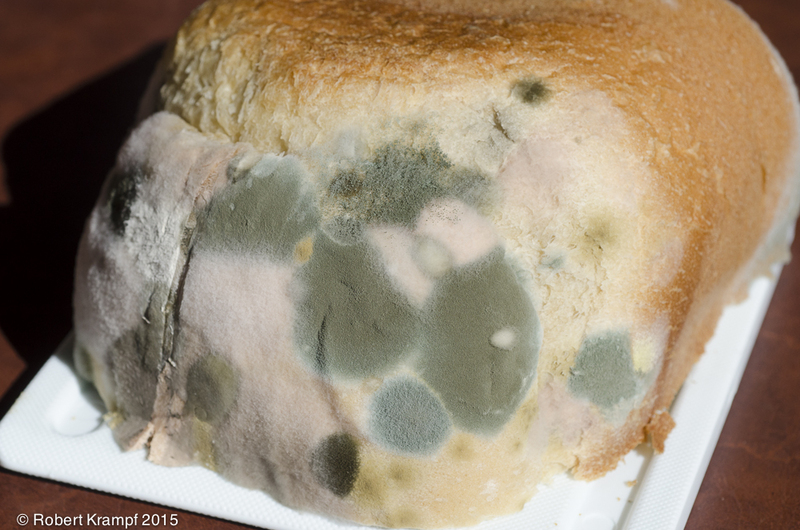 The mold is a fungus that is breaking down and decomposing the bread to get energy from it..